With over four years of real estate experience as a licensed realtor, Leslie now brings her knowledge to THE SWEET TEAM as a Transaction Coordinator. Whether you are listing your home or buying the home of your dreams, Leslie will monitor all of the contract deadlines and assist you with all the required paperwork. 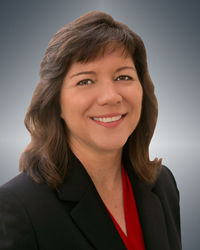 Leslie will also work as your liaison between the Lender, the Title Company and the collaborating agents. Her goal is to support you throughout the process; from an effortless start to a smooth closing.